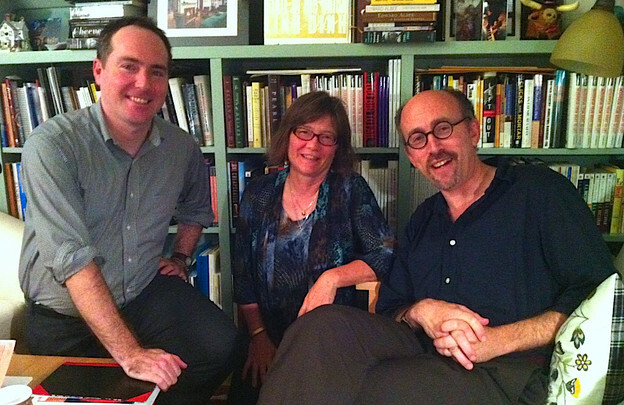 Left to right: Tom Devaney, Susan Schultz, and Leonard Schwartz after recording an episode of "PoemTalk" on a poem by Linh Dinh, Kelly Writers House, Philadephia, USA. Over at the Tinfish Editor’s Blog, Susan Schultz takes time today to summarize her extended visit to the Kelly Writers House. Here is a link to the entire reflection. Here, below, is the first section of her piece, which I'm pleased to pass along for its insights into the question of possible relations between the way we think about genocide and the way we think about dementia. 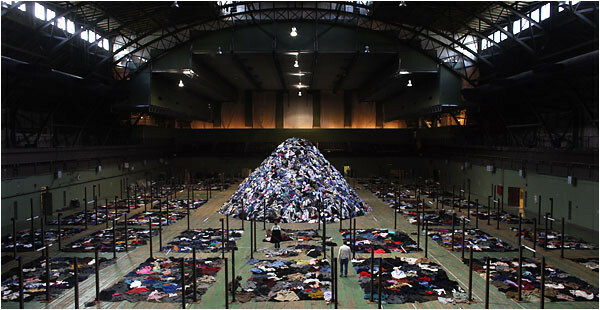 Sounds outlandish but it begins to make sense, in my view, when one approaches either as a problem of memory and witness. That’s the inventory. But what actually happened? Al Filreis began our conversation by noting that I have written about the Cambodian genocide, and he began to connect that content to the Alzheimer’s writing I’ve done that offers a testimony of witness to my mother’s decline. But we adopted our son from Cambodia! I told Al. Our friend Hongly Khuy was a survivor of the Khmer Rouge. He’s come to several of my classes to talk about his experiences. He traumatized that first class of freshmen, talking about what it’s like nearly to starve to death, what it’s like to see a woman butchered to death for asking for more food (his laughter at the situation’s absurdity bothered the students most), how far one had to walk simply to get a few grains of rice. After a couple more such talks, he had grown much more gentle. He talked differently. Al distinguished between “deep memory” and “common memory.” Deep memory occurs in the present tense, always. Common memory acquires a past tense verb, assumes a distance between the moment of trauma and the moment of story-telling. It’s easier on the teller and his audience, but less “true” to the experience.